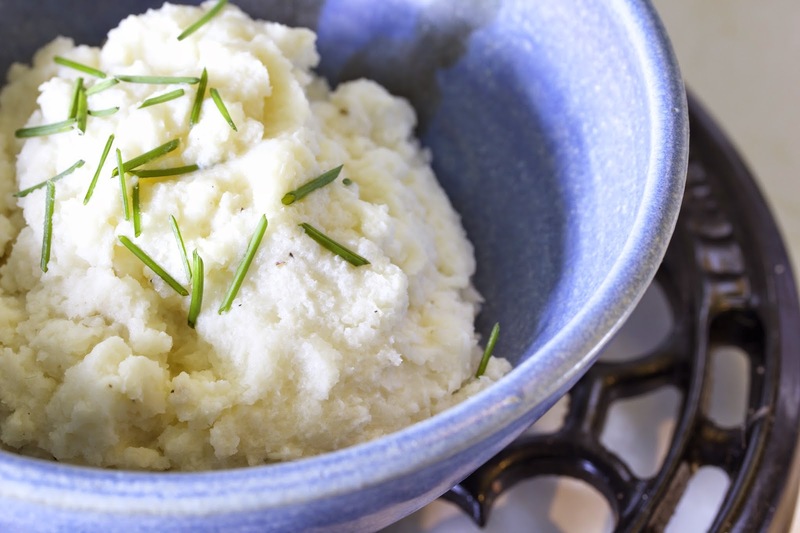 One of my favorite discoveries on this diet has been how much better I like the taste of these cauliflower mashers over mashed potatoes. It only takes about 15 minutes and 4 ingredients to made a delicious side dish to accompany any food - or just enjoy by itself. Chop the head of cauliflower into florets. Steam the florets in a double boiler for 8 - 10 minutes, or until a fork goes easily in the stem. 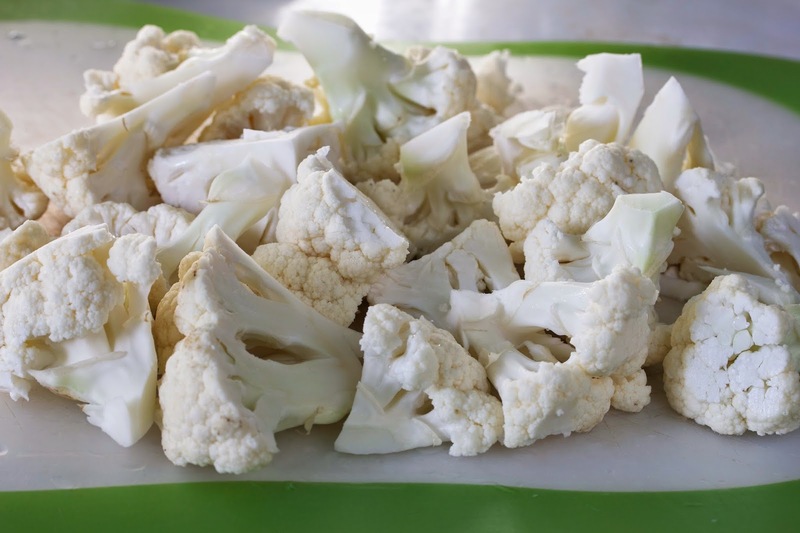 Put the steamed cauliflower, butter, salt and pepper in a food processor. Blend until the cauliflower mixture looks like mashed potatoes. Taste for butter, salt and pepper. Optional: Add 1 clove of finely chopped garlic in the food processor.